INTENSE WHITENING FORMULA: Our Body Lotion is made out of GLUTATHIONE, KOJIC ACID, CO-ENZYME Q10 AND VITAMIN C. All the ingredients your body needs to stay healthy and radiant! PERFECT FOR DISCOLORATION: Used as a skin lightener, it can gradually fade any BLEMISHES, SCARS, DARK AREAS, AGE SPOTS OR FRECKLES. It gradually lightens the skin, making it look brighter and clearer in just a few weeks! 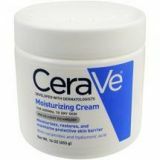 MOISTURISE YOUR SKIN: It SOFTENS and MOISTURIZES your skin, for a glowing complexion! Its rich and creamy substance helps to eliminate dry skin. FRAGRANCE: Shouvy s Body Lotion leaves a PLEASANT AROMA behind, that s not too strong or too soft to easily fade away. It will make you feel clean and fresh all day long! 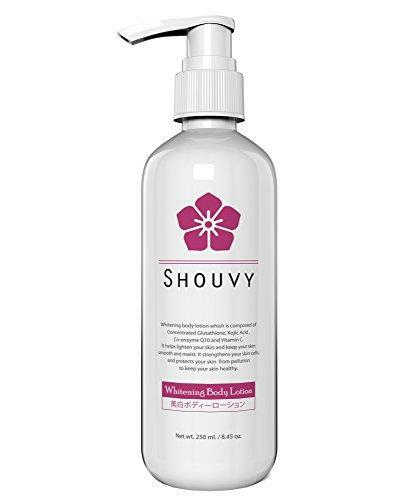 DAILY USE: Shouvy s Whitening Body Lotion is PERFECT AND SAFE FOR DAILY USE, as it DEEPLY HYDRATES YOUR SKIN. It also STRENGTHENS YOUR SKIN CELLS and PROTECTS YOUR SKIN from any pollution.